Fill a Bag ... Feed The Hungry! Help the area's largest one-day food drive. Did you recieve a Scouting for Food door hanger? In the unlikely event that your bag is missed, please visit a drop off location near you or call (610) 264-8551. All food helps local food banks in your area. 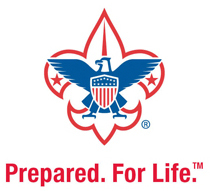 Didn't recieve a Scouting for Food door hanger and want to help? Click here for a list of drop-off locations in your area. NON-PERISHABLE FOODS ONLY (canned foods, baby formula, dry goods & food, paper products) and please NO GLASS JARS & NO EXPIRED FOODS.